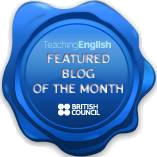 This post is a follow-up to the Teacher’s Toolkit Lite. My initial plan to use the Teacher Toolkit to equip small groups of students with dice and various cards (as part of my Save Trees, Save the Planet campaign) was quite a loud fiasco. Apparently, the combination of Noise and Maker made a perfect ‘tapbait’ for the students tempting them to tap the button and enjoy the chaos. They say that temptation usually comes in through a door that has been (deliberately) left open. Well, sometimes, some doors need to be closed. The Learner’s Toolkit v.1 complements the Teacher’s Toolkit and has 6 tools that might come in handy in the classroom and help save your time, paper and printer ink, i.e. create more with less and deliver greater value with less paper-based input. In many cases, it’s enough to have the app installed in one Android telephone for a group of 2-5 students. 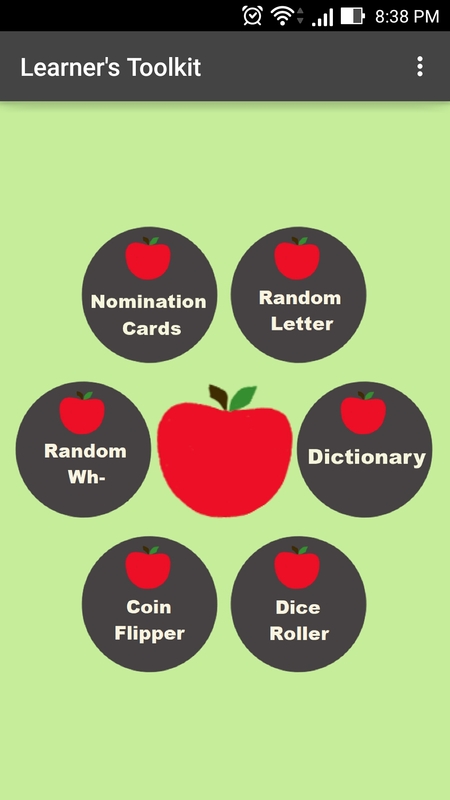 The Toolkit will provide students with a couple of dice, a set of nomination cards, a set of letters, a set of wh-questions, a coin, and refer them to various dictionaries online. The Nomination Cards app is based on the Tekhnologic’s set of nomination cards. It can be used in discussion activities as a way to give all students a chance to speak and keep the conversation going (Nomination Cards: Giving students a chance to speak). In turns, students tap the button and generate new cards. If you decide to play alphabet games (‘A’ IS FOR ALPHABET, ‘G’ IS FOR GAMES) and arrange your students in small groups, the Random Letter will serve as a handy random letter generator. Just tap the alphabet and it will do (actually say) the rest. Quite many games/activities offered on my blog include tossing a coin: e.g. PHRASAL VERBS: SPIDER’S WEB, SNAIL RACE: REVISION, THE NEVER BORING GAME, the FOOTBALL GAME, etc. Just tap the coin. Heads or tails? If you teach large classes and decide to play a board game, the Dice Roller will be a perfect solution. Students pick whether they need a die or two dice and shake the phone (or tap the dice). 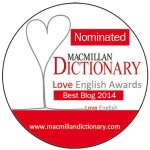 The Dictionary tool refers students to the list of various dictionaries and resources they might find helpful (see page Resources for Learners on ELT-cation). It’s the only app in the Toolkit that requires Wi-Fi. If you’d like to try the tools, click the Learner’s Toolkit app to install it in your telephone. Your learners can access the app in the section Resources for Learners. This version is for Android phones only. It is absolutely free and has no pop-up ads. If you’d like to cooperate with me and make an iOS version, please let me know! This is really amazing , it will be wonderful to have the IOS App, good job and congratulations from Lima Peru .